I recently had the opportunity to chat with a Subaru BRZ owner. Hell, it may have been a Scion FR-S owner. I have no idea. No one can tell the two cars apart, except for the owners, who loudly admonish you when you get it wrong. "THIS IS A BRZ!" they scream, the angry cries of an underpaid IT worker who's finally letting out his rage. "CAN'T YOU TELL THE DIFFERENCE BETWEEN THE FOG LIGHT HOUSINGS?!" But back to my conversation. Here's how it got started: I normally drive a boring SUV, which means that nobody ever comes up to me to chat. Oh, sure, I'll get the occasional 8-year-old who tries to jump in the backseat until he realizes I'm not his mommy. But no one ever approaches me in parking lots and says stuff like: WHOA man! Cool SUV! How much power does this thing make at the wheels?! Like 220?! So if I want to talk to other car owners, I pretty much always have to approach them. As you might imagine, I do this a lot. For example: I'll approach an NSX owner and discuss his car's perfect handling. Or I'll approach someone in a Pagoda SL and discuss his car's beautiful, classic styling. Or I'll approach a guy in a Chevy SSR and compliment him on his excellent ponytail. I usually enjoy this immensely, so you can imagine how excited I was the other day when I pulled into a parking garage next to a guy who was getting out of his FR-S/BRZ. In fact, I was so excited that I hurried out of my car, walked right up to him, and asked: "So, how do you like your…" I then realized that I had no idea whether this guy was driving an FR-S or a BRZ. I decided to play it safe and go with FR-S, since there are so many more of those. And that's when he exploded. "DO I LOOK LIKE THE KIND OF PERSON WHO WOULD BUY A SCION?!" he yelled. "DO I LOOK LIKE I WOULD DRIVE AROUND IN ONE OF THOSE TOASTER BOX THINGS? THIS IS A SUBARU! A SUBARU! SYMMETRICAL ALL-WHEEL DRIVE! THE MANLIEST CAR ON THE PLANET! THIS CAR HAS MORE CHEST HAIR THAN A GIANT PANDA! YEAH, OK, YOU CALL THE POLICE! CALL THEM AND LET THEM KNOW WHAT YOU JUST DID!!!" No, I'm just kidding. None of that happened. Instead, what happened was, he politely corrected me and told me his was a BRZ, and he liked it very much. So then I asked what transmission he had – "Is it a manual or an automatic?" – and he replied: "Both." It was at this moment I knew the elevator ride from the parking garage to the building would be the longest one of my life. The reason I say this is because there's no such thing as Both when it comes to transmissions. You either have a manual, or you have an automatic. This is a simple truth in life, like gravity, or reproduction, or the fact that at least three Chevy SSR owners will become so enraged by my earlier comment that they'll type out an angry, threatening e-mail to me using only their ponytails. Oh, and another thing. 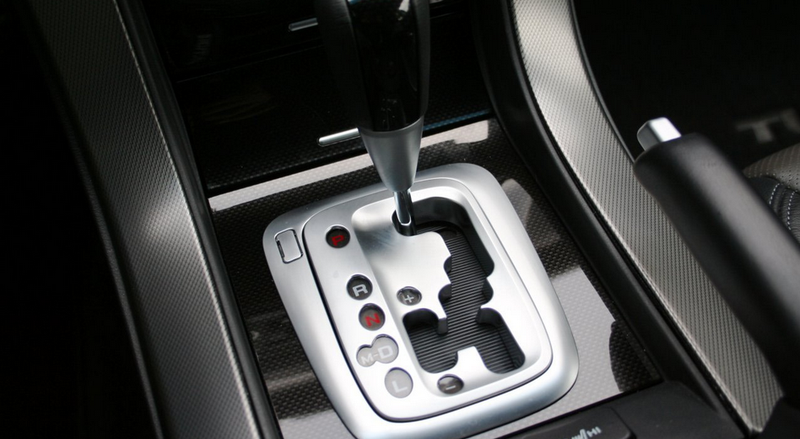 I don't care how many clutches your transmission has: unless you're controlling them with your foot, it's an automatic. The problem, of course, is that you can't really say this to a guy you just met in a parking garage. So I stood there, on the elevator, listening as he extolled the many virtues of a manu-matic transmission, as if this feature hasn't been available in pretty much every automobile made since the early days of the Bush administration, long before he had Accomplished any Missions except for surviving that pretzel choking incident. Now, I know the excitement. You've just bought yourself a Scibaru, presumably to replace the gold Acura Legend your parents handed you down from your grandmother after they took away her keys for running into one too many parked police cars. You're finally shifting the gears yourself, going through the RPMs, and really enjoying the whole driving experience, rather than simply participating in it. I also know the fun of a manu-matic transmission. Before I learned to drive a stick shift, I had an Audi A4 with Tiptronic, and boy was it fun to go through the gears. I'll never forget the joy: you're approaching a corner in third, you line up the car to hit the apex, you slow down just enough, you pull back on the gear lever, and BAM! Several minutes later, when you're eating lunch a few blocks away, second is all yours. But the simple truth here, ladies and gentlemen, is that no matter how quick-shifting your automatic, no matter how many clutches it has, no matter how much you love playing with the plus-minus thing, it's still an automatic. Yes, this is even true in cars where they've designed the automatic transmission lever to look like a manual shift knob. Of course, I don't mean to solely call out FR-S and BRZ owners. Many car owners make the mistake of saying they have "Both" when they're asked to name their transmission. So take this column as a general plea for everyone, regardless of vehicle choice, to stop doing this. Until that happens, maybe I'll just take the stairs.